A 1000 page for a 5-mark school project on travelling in North America – as a 12 year old, I was smitten by the proverbial travel bug. Later as a teen heading to Mussorie, then a quaint hillstation of India, I managed to lower the intensity a little – a 100 page Explore Mussori file that me and my co travellers might need. From nerdly travel dossiers as a kid, to ongoing long haul journeys, I have learnt some vital travel hacks. Here’s my list. Taking a flight between 7a.m. and 9a.m. has been very comfortable for so many reasons. To start with, you get a good night’s sleep (unless you don’t sleep the previous night, in which case you can sleep enroute) The roads are clear, therefore you reach the airport without encountering any traffic. Incase of international flights, immigration counters are relatively free at this hour of the morning. Eg: Domestic departures: 6a.m. + (30mins + 60mins + 60mins + 30mins) = 9a.m. I like to reach the destination fresh, keeping the first day relaxed, taking in new sights and sounds, probably see the destination at its best during the golden hours of sunset and having a quick ride to the airport. Therefore, we choose the early morning hours. The pleasure of selecting your row and seat number, knowing that the flight cannot leave unless you board and selecting your meal of choice are some of the advantages of web check-in. Also sometimes if the line for checkin is too long and you have not web checked in, there is no harm getting into the web checkin line and trying your luck! Incase of only hand baggage, you can deduct 30 mins from the time mentioned above if you have web checked-in. Some airlines also offer miles to travellers who web check-in. This facility is available on mobile phones too. Look to your left and right instead of following the crowd. In most cases the counter at the far end has the least crowd, go there, you will clear immigrations quicker. This is debatable, some say a month before, some say 2 months, some say 10 days before. We all like a good deal. Fortunately, every few months airline companies both domestic and international introduce offers and discounted fares. Ride on the wave and book your tickets. Websites display historic average of ticket prices. I like to book tickets at the lowest price point for that sector. If I don’t get that fare, then I look for a fare that is 30% less than the mean. Normally, the best time to book a domestic flight ticket can be 4 to 6 weeks before the date of departure or even 4 to 6 months prior if you are availing of discounted fares with a travel date 4 months from now. There is no thumb rule for international flights. We have booked tickets for London 6 months in advance, only to see fares drop one month before our date of departure. On the other hand, we got the cheapest fare for Singapore via Singapore Airlines (one of the best airlines operational today) 4 months prior too. Many websites have a calendar of fares where they highlight the best fare. If you are flexible with your dates, this is a fantastic option. We have learnt that travelling on the day of a public holiday helps get a better deal. People like to spend time on Diwali and Christmas with their family. Therefore, flights have seats to be filled up and they are happy to offer them at a discounted rate, to fly at a fuller capacity. Departures and returns on Tues to Fri always display cheaper fares as compared to weekends and Mondays. Many people like to fly back on Monday morning to get back to work. It is one of the busiest slot for flying, like peak hours for traffic. Best to avoid. In an ideal world, travelling to a new place should be all about exploring it slowly, meaning staying there for as long as it takes to get on first name basis with the locals. But those of us who cannot afford that luxury of time, always always consider the length of the flight eg: Mumbai to Colombo is 5 hours; your stay should never be less than 5 days, if it takes 10 hours to get to Bali, 10 days it is. Should I apply for visa for countries where there is visa on arrival? A super hack to this works if you have a connecting domestic flight. Eg. 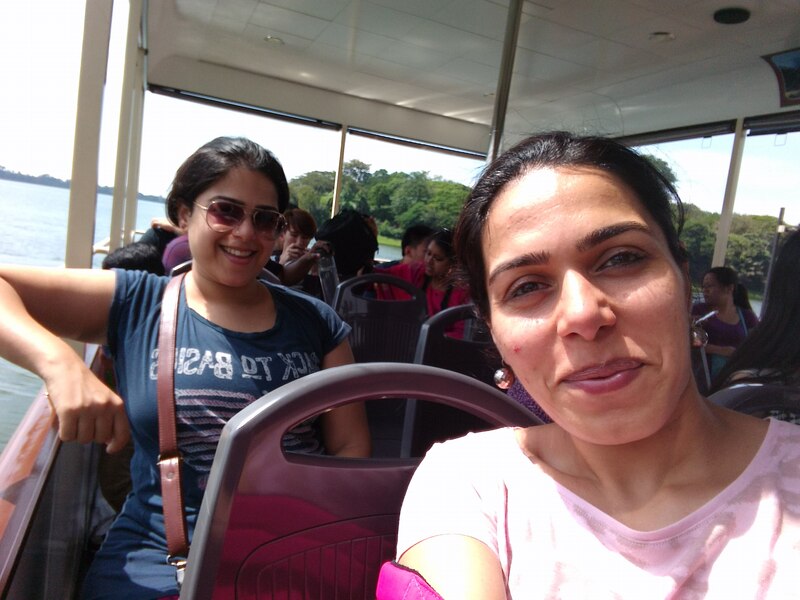 I had a flight from Mumbai-Bangkok and a few hours later a domestic flight to Krabi. Initially I stood in that serpentine line, imagining it would take me at least 2 hours to get through. Then I went ahead for a bit and found out that they were letting domestic flight ticket holders go through. In any case I think visa on arrival makes sense. You think spending that 1 hour waiting in the line is economically wiser? I’d rather be out of the airport quick and begin exploring the new place. You enjoy your break away from the routine. The last thing you want to do is transition to the routine as soon as you are back. I have found that a 24 hour buffer helps the holiday memory linger longer, give space to the mind to transition from a slower vacation pace to your work routine. It also gives time to unpack, load the washing machine, look at the pictures and just be. So ensure that you return on a day (or two) before your work week begins. We prefer returning on a Friday. This one is especially for vegetarians. When travelling internationally, both my sister and I, enjoy exploring the supermarkets at a new destination for the sheer variety of fruits and beverages. We stock up on Mangostein, Rambhutan, Jackfruit, Nectarines to hydrate us for the rest of the trip. We also pick up milk shakes and juices which are handy for breakfast or while on the move. Most supermarkets abroad have a salad bar. From salads with red kidney beans, pasta salads to a host of fruits and vegetables, and the option to pick up a combination of salads and pay by the weight; similar to some frozen yogurt chains in Bombay works perfectly. When travelling within India, we make it a point to try out the local cuisine. From appams in Bekal to momos in Ladakh, dosas in Bangalore to dal bati in Udaipur; India never ceases to amaze with its diverse tastes and flavours. All the points mentioned above are experiences from a collective travel experience of 20+ years between me and my sister Diipti (www.traveljournal.com). There are uncontrollable factors like unusual traffic at the airport, delays due to incoming flight not arriving on time, crowds at security due to one x-ray machine being non-functional and so on. Travellers are advised to use their own judgement.